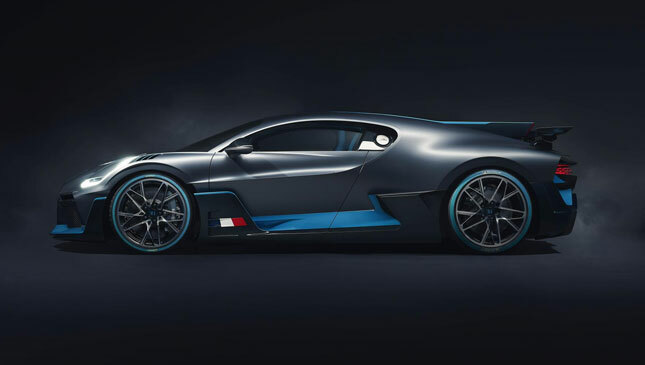 Rule one of the Bugatti Divo: Do not try to rationalize it—your head will explode and you’ll ruin the carpet. 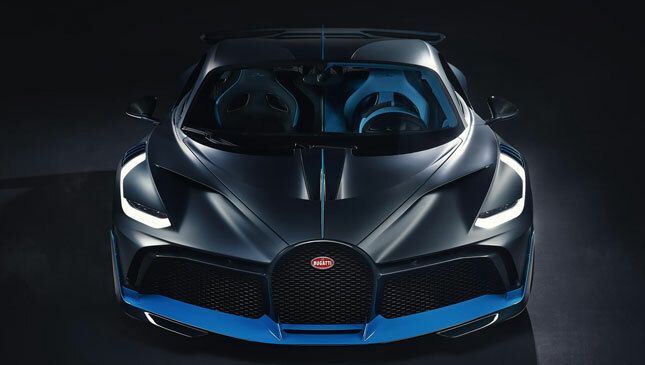 At €5 million (P310 million) a pop, it’s twice the price of a Bugatti Chiron, so unless the propshaft is forged in gold, dipped in unicorn poo and rolled in diamonds, it’s not a number that can be justified by any normal means. No, the key here is exclusivity. 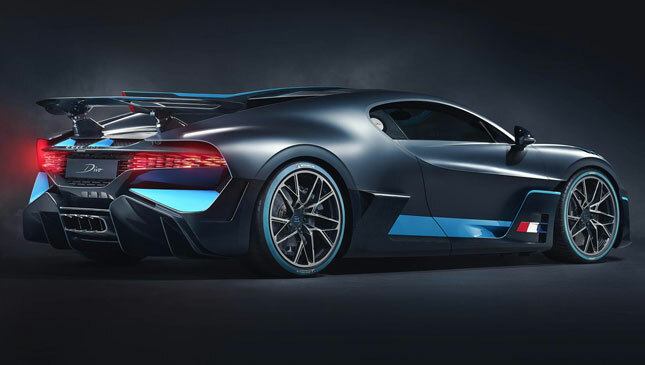 It might use the same 1,479hp behemoth of an engine as the Chiron does, but everything else is stiffer, lighter and generally madder, refocusing the car not on top speed, but going around corners like an LMP1 race car. 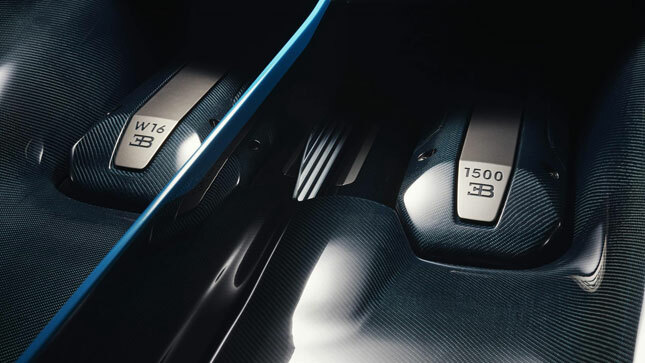 Only 40 will be produced (that’s 40 on top of the 500 Chirons Bugatti is already building), and you can’t have one. Despite buyers having to be proposed by a dealer and own a Chiron already, it sold out immediately. And yes, more than one of the 40 bought a Chiron just to get their hands on the €5 million fruit. This is the genius of Stephan Winkelmann, president of Bugatti. A man who knows his customers better than they know themselves, who can take a relatively shoestring budget and, like Jesus and his loaves and fishes, turn one car into many, keeping the buzz going while, behind the scenes, he ponders his next move. At Lamborghini, he mastered the art, recasting the Murciélago as the Reventón, the Gallardo as the Sesto Elemento and the Aventador as the Veneno and Aventador J, while the Urus’s lengthy development process bubbled away. 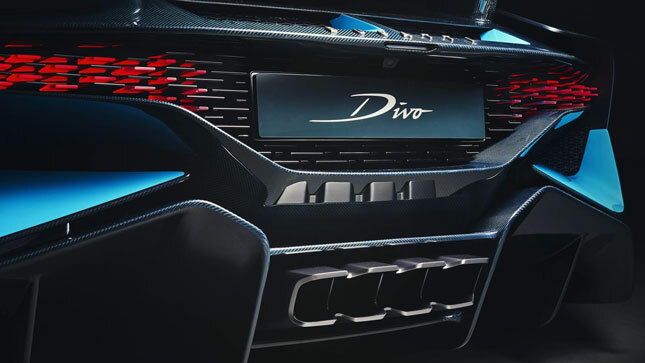 The Divo is born of the same philosophy. It’s at this point I should probably point out that this isn’t merely a design exercise or a Chiron with a new hat on, it has been honed and thrashed mercilessly around Nardo’s 6.2km handling circuit to make sure it has the speed to match its show. It worked…posting a lap time a full eight seconds faster than the Chiron. But why go down the route of a road-legal racer at all? Isn’t it at odds with Bugatti’s hard-fought reputation for building cars that bend physics in a straight line, but possess the luxury and ease of use of a well-specced Rolls-Royce? Winkelmann wasn’t about to push the green light without first consulting the history books. It’s from there that the name was plucked—Albert Divo—a two-time Targa Florio winner in the late '20s and a Frenchman of Italian descent, like Ettore Bugatti. 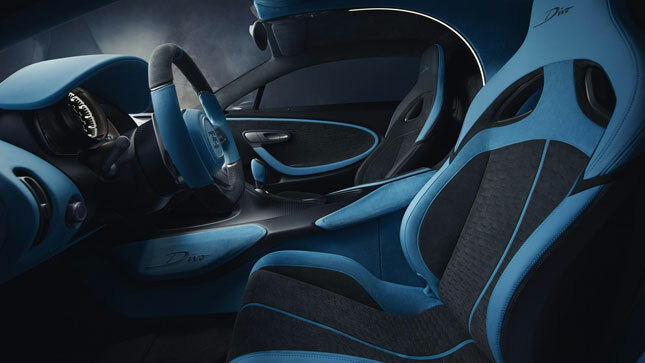 The Divo also builds on Bugatti’s history of in-house coachbuilding, an idea driven through by Ettore’s son, Jean, in the '30s. It produced some of Bugatti’s most iconic shapes, culminating in the most sought after of them all—the riotously curvy Type 57SC Atlantic, of which only two are in existence. 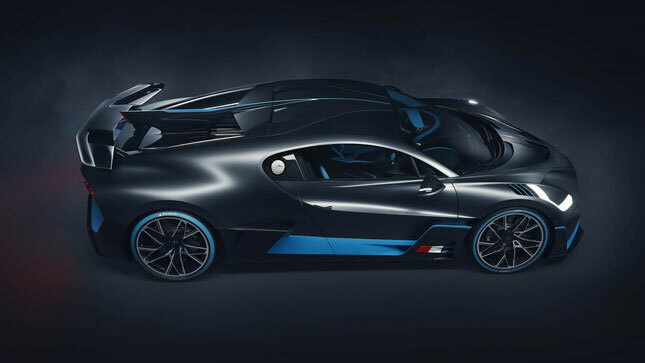 There’s inspiration from Bugatti’s Vision Gran Turismo concept (which spawned the Chiron) in its color palette and extravagant aero, but every vent, duct and wing is there to work. 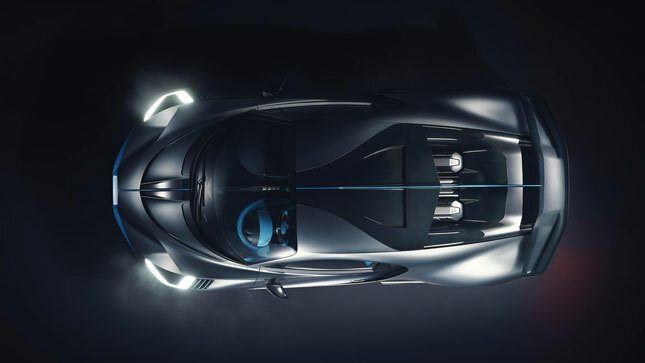 In total it produces 456kg of downforce at top speed—90kg more than the Chiron. 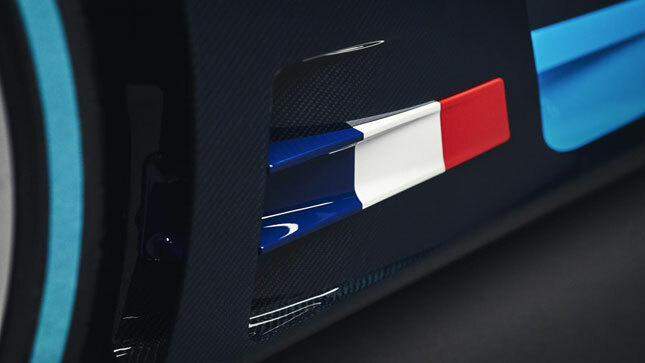 The rear pulls its weight via a wider and deeper diffuser that splits either side of the retrimmed quad exhausts, and a 1.8m-wide hydraulic wing (23% wider than the Chiron). On the roof, fresh air is rammed through a NACA duct before being cleaved by the fin and fed smoothly over the engine bay and square onto the wing. 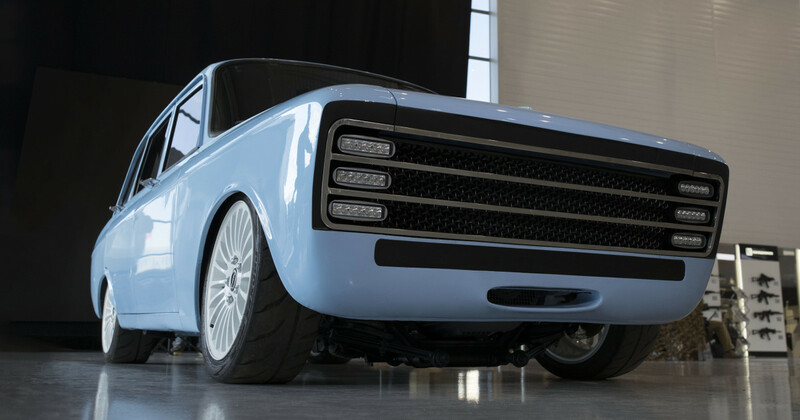 The front mucks in with a huge chin spoiler, air curtains to tidy the air as it passes over the wheels, and no fewer than four separate vents channel air to cool the front brakes. Inside, the architecture is familiar, but that doesn’t make it any less impressive. There are changes in here—more padding on the center console and deeper sculpting on the seats—but otherwise it’s all Chiron. Where the real shift has occurred is where the eye can’t see. Stiffer springs, dampers and anti-roll bars (no official figures on by how much), an extra degree of negative camber on the wheels and 35kg of weight saved though the carbon-fiber wiper blades, grooves cut into the wheel spokes, less insulation, a lighter sound system, and deleted storage in the doors and center console. The 8.0-liter quad-turbo W16 produces the same 1,479hp, the seven-speed twin-clutch ’box is identical, 0–100kph is still 2.4 seconds… but the top speed’s lower. 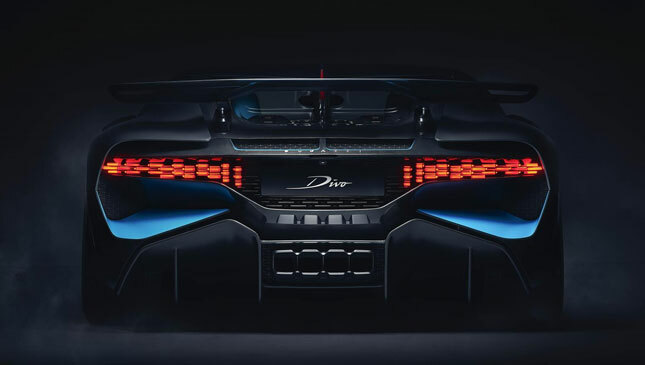 While the Chiron is capped at 420kph, the Divo slams into its limiter at 380kph. That’s because the extra downforce and negative camber increase the load on the tires, hence this nod to self-preservation. Essentially there’s no top-speed mode, unlocked with an extra key in the Chiron, just EB, Autobahn and Handling. Could it take on the Nordschleife? “Not for the time being, no,” says Winkelmann. But what next for the Chiron? There’s still no news on if and when a top-speed run will occur. 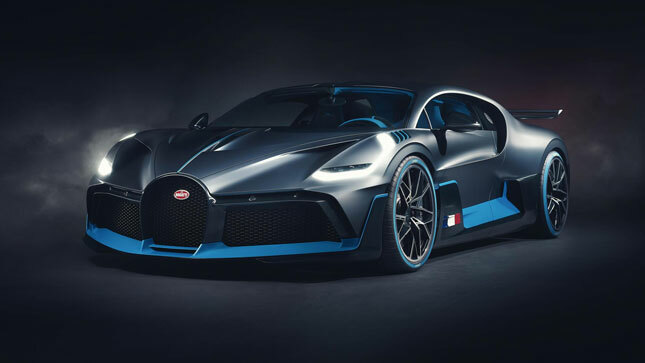 By Bugatti’s own admission, the engine is near the limit of what its components can cope with and good luck finding any space in the Chiron’s packaging for hybrid enhancement. But the boss is constantly busy, looking for an opportunity to expand.